Cancelletto started its business activity in the construction sector in 2013, with its headquarters in Thessaloniki and since then it offers its products and services with efficiency, consistency and reliability all over Greece. We manufacture, distribute and install Folding safety railings, and work with the leading foreign firms in fire doors, automation, garage doors, security roller shutters, parking systems and special doors. Our main goal is to satisfy our customers and to promote our partners offering high quality products ideal for residential, commercial and industrial areas. With excellent methods, timely service and through the development we achieved a number of important projects and partnerships and thus Cancelletto can confidently claim to be a responsible, reliable and flexible solution for every individual customer. It is important to mention that we realize the progress as an essential component for a complete and utter satisfaction of our clients. For this reason we constantly improve our products, service, facilities and equipment. Our employees are always being trained in order to be up to dated with the latest technologies in our field. Moreover, we are conscious about environment. Our production processes are environmentally friendly and do not pollute the environment. Cancelletto has also adopted a “green” environmentally harmless production process and seek a stable economic development in balance and harmony with nature. 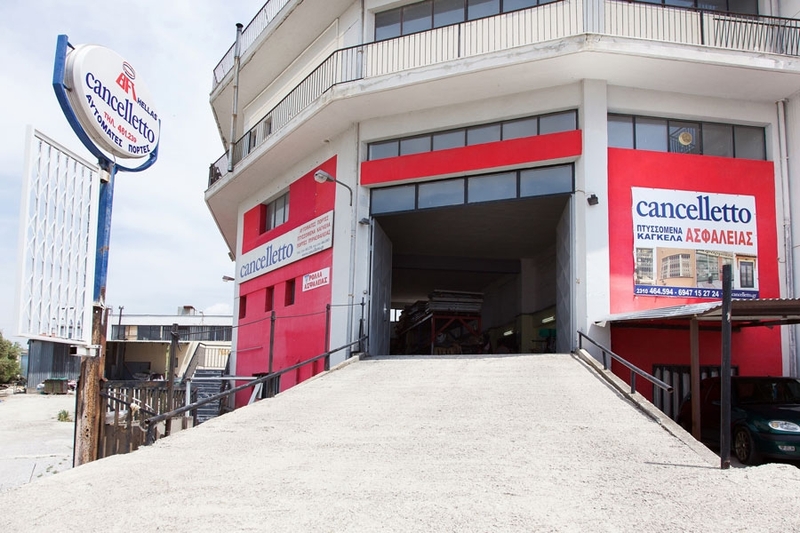 Cancelletto uses a humanistic approach and philosophy and invests in a stable workforce in order to produce and distribute reliable products, which is under continuous training and education by participating in specialized seminars. We always make sure to offer a safe work environment. Our employees are more than just people who work for us. Without them, we would not have this development. They are like partners for us, as a result we always strive to keep them employed as long as possible. We strongly believe that satisfied employees who feel safe and welcome in their workplace are the most appropriate to provide best services in every customer.